Amaravati is the de facto capital city of the Indian state of Andhra Pradesh. The planned city is located on the southern banks of the Krishna river in Guntur district, within the Andhra Pradesh Capital Region. The foundation stone was laid on 22 October 2015, at Uddandarayunipalem area by the Prime Minister, Narendra Modi. 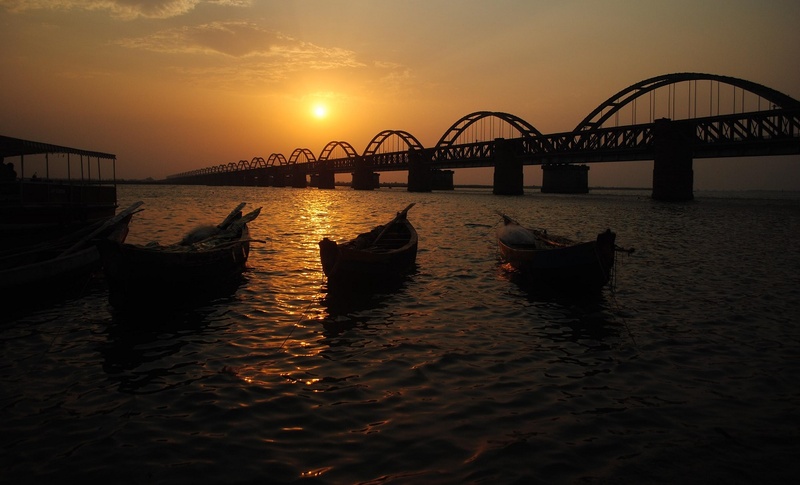 The mega city of Guntur, and the metropolitan area of Vijayawada are the major conurbations of Amaravati. As per the Andhra Pradesh Reorganisation Act (2014), Hyderabad became the capital of the then newly formed state of Telangana, post bifurcation of Andhra Pradesh. However, Hyderabad would remain as the joint capital of both states for a period of time not exceeding ten years. Hence, Amaravati is thus being built to serve as the capital of Andhra Pradesh. The foundation for the city was laid at Uddandarayunipalem on 22 October 2015. The Prime Minister of India, Narendra Modi; the Chief Minister of Andhra Pradesh, N. Chandrababu Naidu; the Chief Minister of Telangana, Kalvakuntla Chandrashekar Rao; the Japanese minister for economy trade and industry, Yosuke Takagi; and the Singaporean Minister for Trade and Industry, S. Iswaran laid the foundation for the city.